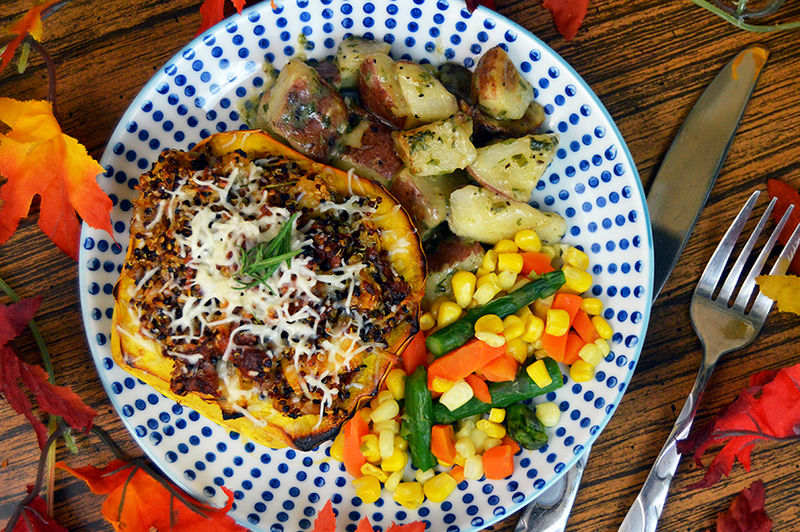 I've been trying to get into the habit of eating healthier lately, though baking things such as a giant ho-ho cake doesn't exactly help...nevertheless, I made up for it with this great recipe for stuffed acorn squash. I even used quinoa for the very first time! There's been some cool items on my Ibotta list lately, so I've been making the best of them by tossing everything together into one delicious recipe. 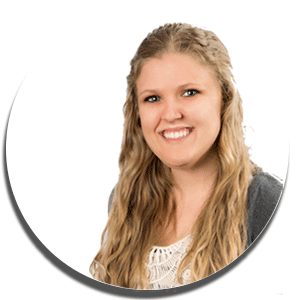 (And seriously, if you've never tried Ibotta, I highly recommend it - and don't forget to join my team!) I picked up a harmony blend of quinoa for this recipe, but definitely feel free to use your favorite kind. At first, I was unsure how I'd like this recipe because it's a very unique dish when it comes to flavors. Imagine if autumn and Christmas met and exploded together in a fusion of robust joy - that's basically what happens with this dish. It's brightly flavored with ginger and apple cider, but mellowed down by the squash and quinoa...only to be kicked back up with some heat from the spicy chorizo. It's a roller coaster of fall flavors. Begin by first removing the seeds from the center of the squash and then roast in the oven at 400°F until it has become fork tender. Let the squash cool for a few minutes before scraping out some of the internal squash, leaving about 1/4 of an inch remaining all around. Yes, we are going to stuff the squash, with squash. As the squash is roasting, quickly brown and crumble the chorizo. In the same pan, melt a tablespoon of butter over medium high heat then add the ginger, apples, onions and garlic. 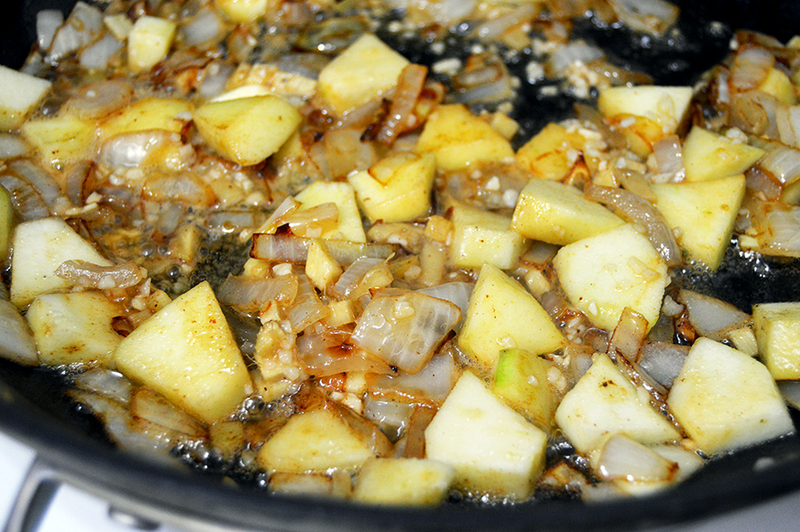 Saute the mix until the apples and onions are beginning to brown then pour in the apple cider vinegar. While you saute, boil the quinoa according to the instructions on the box. Combine the cooked sausage with the apple and onion blend while stirring in the cumin, cinnamon, red pepper flakes, rosemary, and paprika. Then add the extra squash that you previously scraped out into the pan and use a spoon to break up any large pieces. 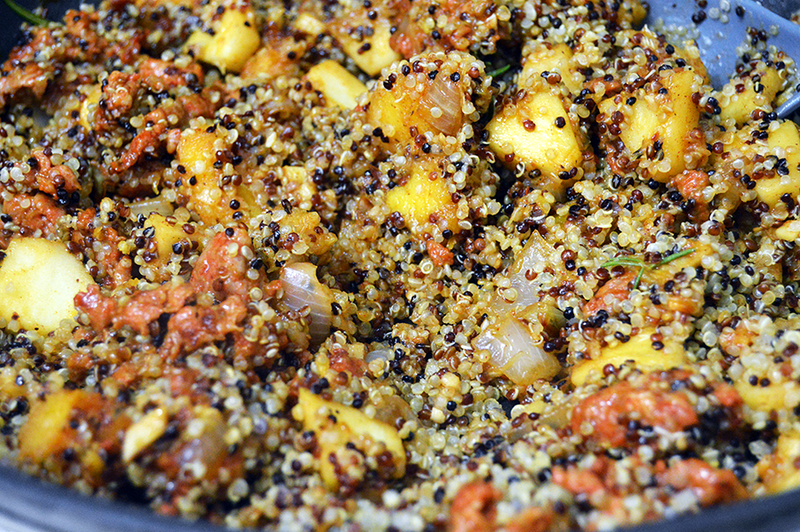 Stir a tablespoon of butter into the cooked quinoa, then add the quinoa to the pan and stir everything together. 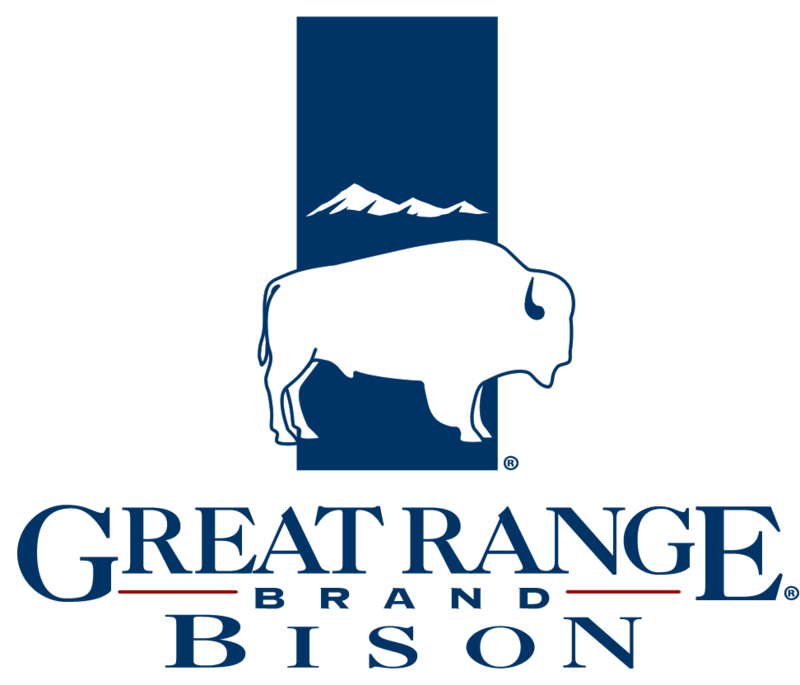 At this point, your home should smell so good, you'll have to brace yourself from the rumbling of your own stomach. 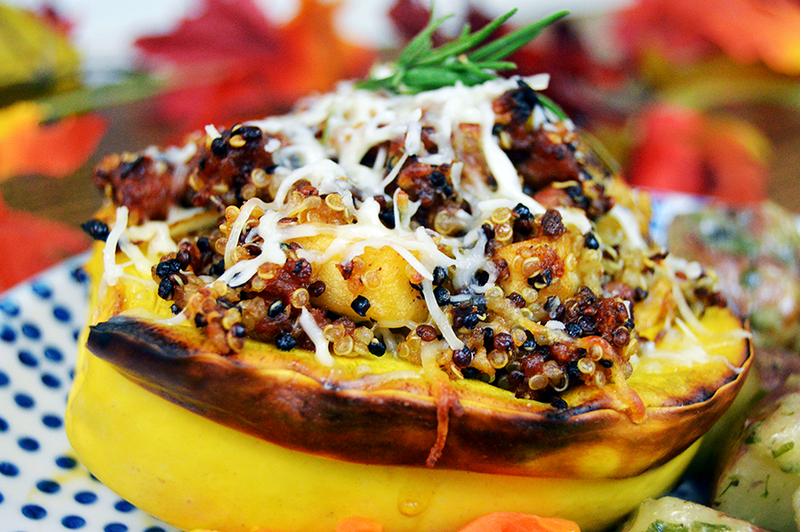 Finally, spoon the quinoa mix into the cavities of the acorn squash. 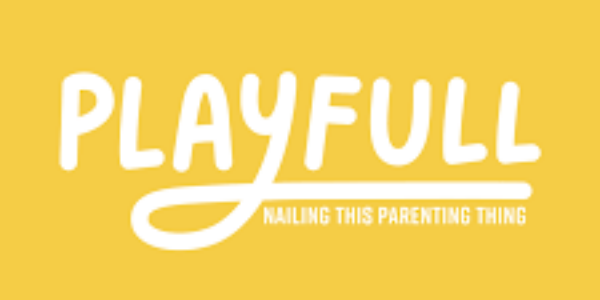 I actually started by putting a tablespoon or so of Parmesan cheese into the bottom of each of my squash, then layered it throughout as I filled each half of the squash. Lastly top with Parmesan if you so desire, then bake for another 5-10 minutes or until the cheese sufficiently melted and has glued everything together. 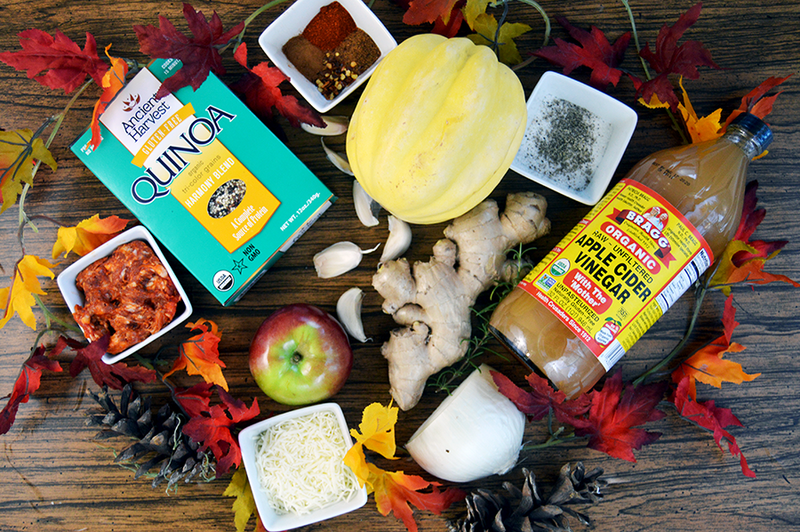 This squash is seriously the best of...all worlds of flavor. 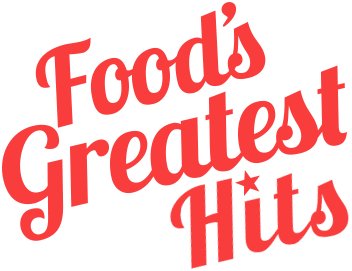 It ranges from sweet to savory, spicy to mellow, and covers a range of delicious holiday dishes that it can be used for. Plus, it's actually kinda healthy. Or at least, that's what I'm telling myself. Preheat the oven to 400°F. 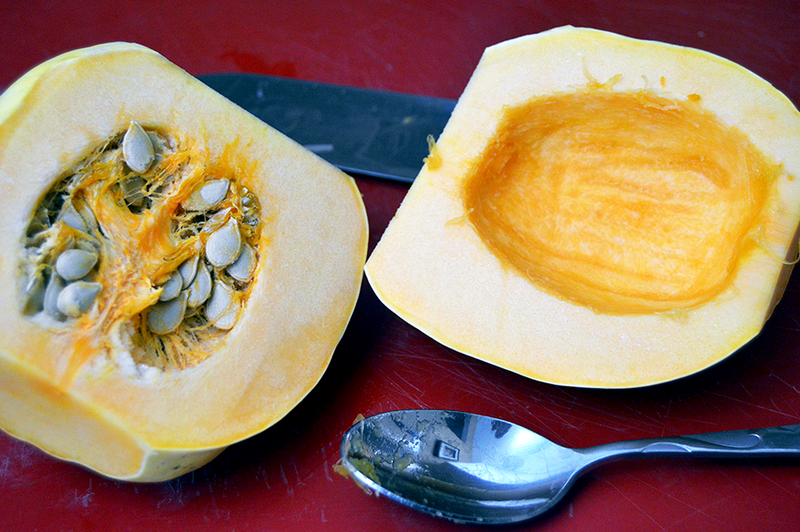 Split the squash down the center and remove the seeds. Place cut side up on a baking sheet and roast for 45 minutes or until fork tender. Cook the quinoa according to the instructions on the box. Quickly brown and crumble the chorizo, then remove from the skillet. In the same skillet heat one tablespoon of butter and add the apples, onions, garlic and ginger. Saute until beginning to brown. Add the teaspoon of apple cider vinegar and stir well. 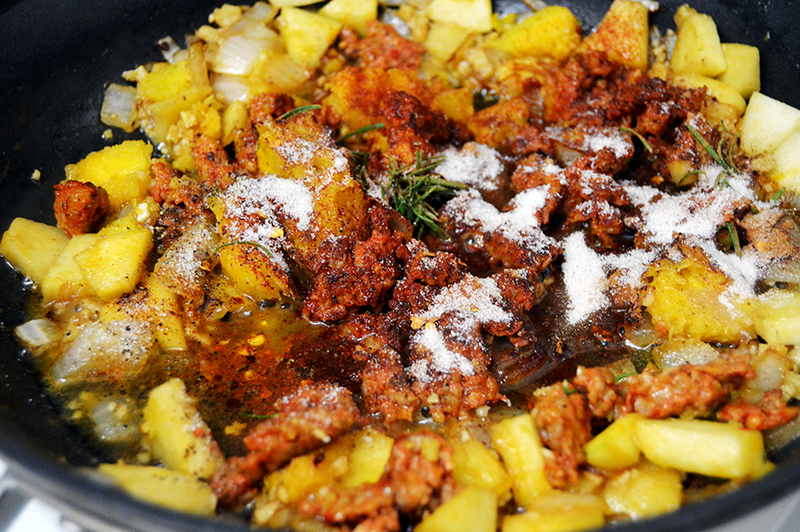 Return the cooked chorizo to the skillet along with the sugar, rosemary, paprika, cumin, cinnamon and red pepper flakes. Toss the cooked quinoa into the pan to combine with the other ingredients. 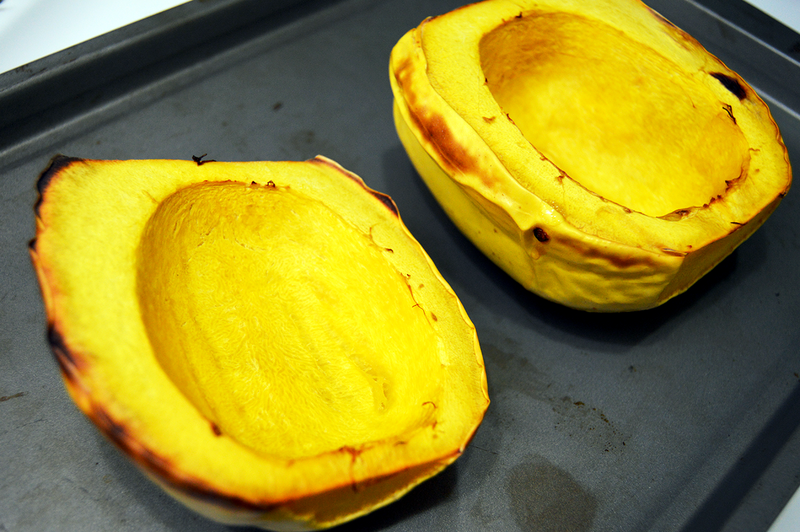 Remove the roasted squash from the oven and scrape away the sides, leaving about 1/4 inch thick walls remaining. 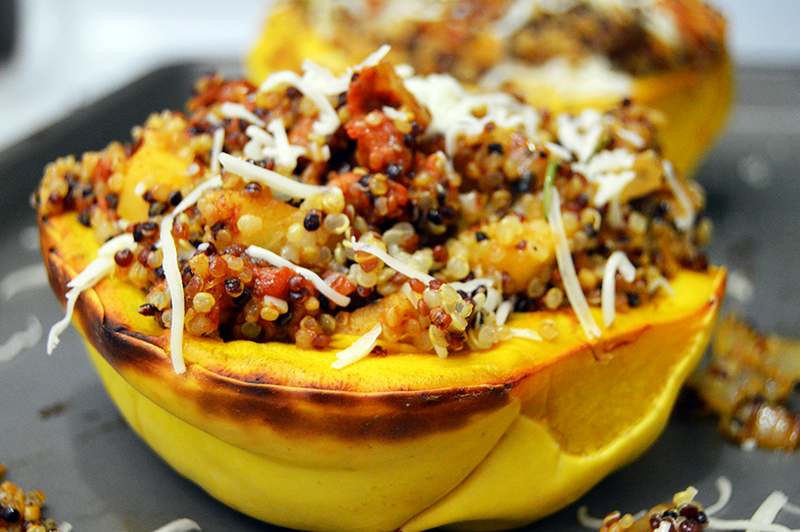 Stir the squash flesh into the quinoa filling, breaking up any large bits. 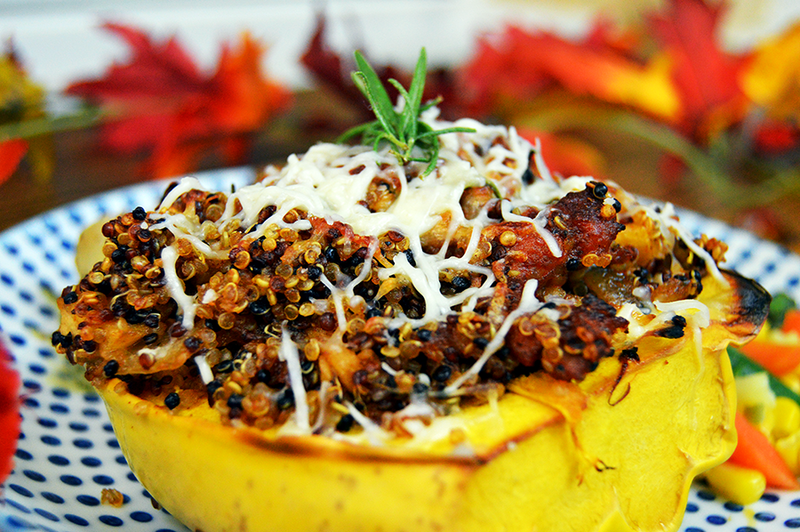 Alternating with cheese and quinoa, stuff each squash with filling until it's overflowing. Top with additional Parmesan cheese and bake for 10 minutes or until the cheese has melted. Serve right away and enjoy!